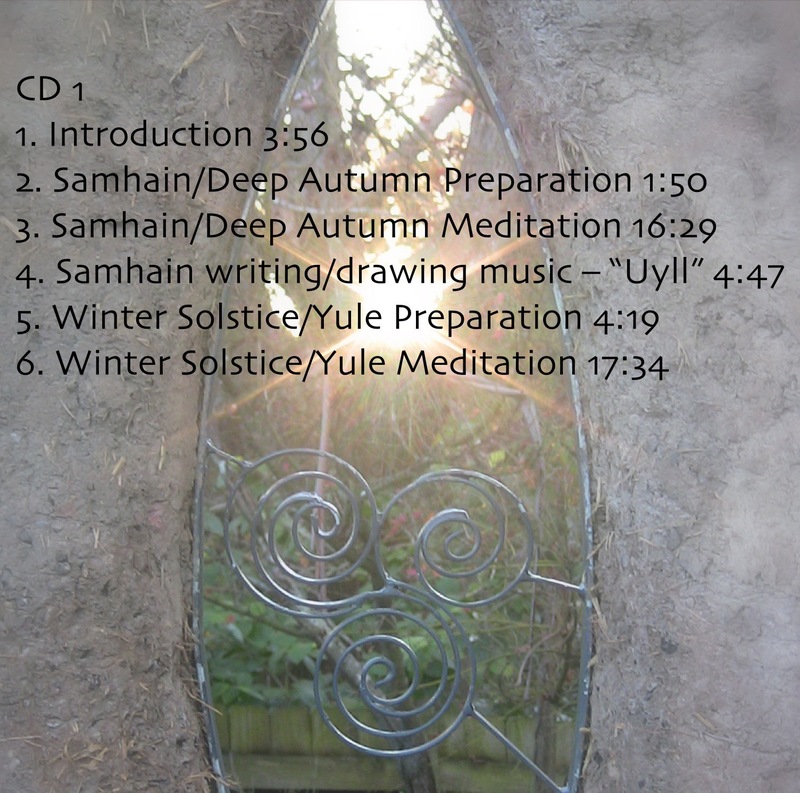 A beautifully produced collection which supports the preparation and performing of ritual /ceremony for each Seasonal celebration: the Winter and Summer Solstices, Autumn and Spring Equinoxes and the cross-quarter days of Early Spring/Imbolc, Beltaine/High Spring, Lammas/Late Summer, and Samhain/Deep Autumn. 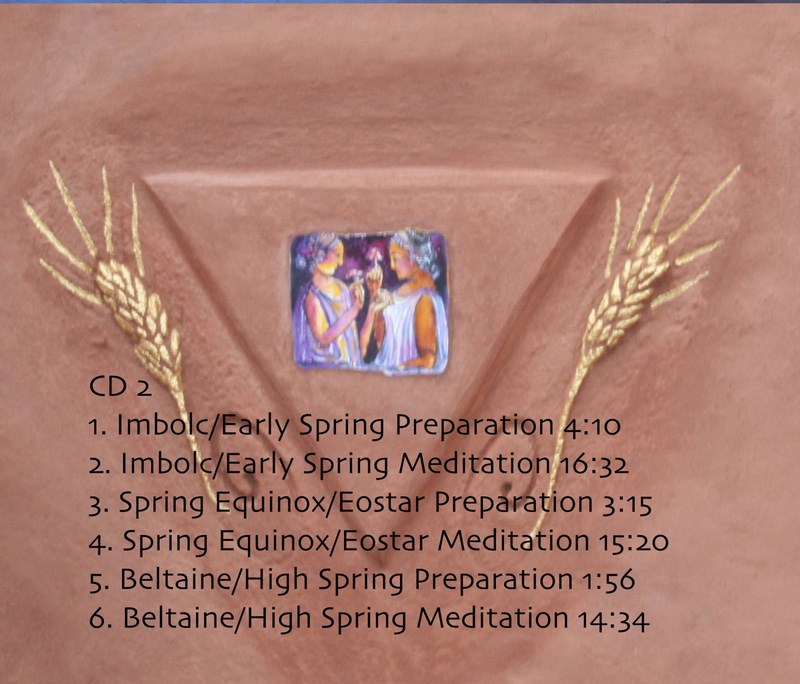 Each season has two tracks on the CD: one which helps you prepare your ritual space while the other guides you through ceremony. Includes music and meditations spoken by Glenys. Whether you are new to ritual celebration or an experienced ritualist, this work will support and inspire you. “Glenys has deepened my experience of the Wheel by setting it into the vast web of all creation. We are as connected and held by the planet as the planet is held by the gravity of the sun and, so the relationships go on, back to the very creation, the great birth of the universe. Glenys’s meditations invite us to experience these natural rituals of the season as our birthright.” Review by Jude Lally for SageWoman magazine 2017. CDs within Australia: $28 plus $6.90 postage per set: please order each set individually for post purposes. CDs international: $AUD28 plus $14.90 postage per set: please order each set individually for post purposes. DIGITAL: $19.95 for the whole set. PLEASE NOTE: When purchasing digital tracks, you will need to click on “Return to Glenys Livingstone” in PayPal to access and download your track: it will not be automatic unless you do this. FOR INDIVIDUAL TRACKS see below. 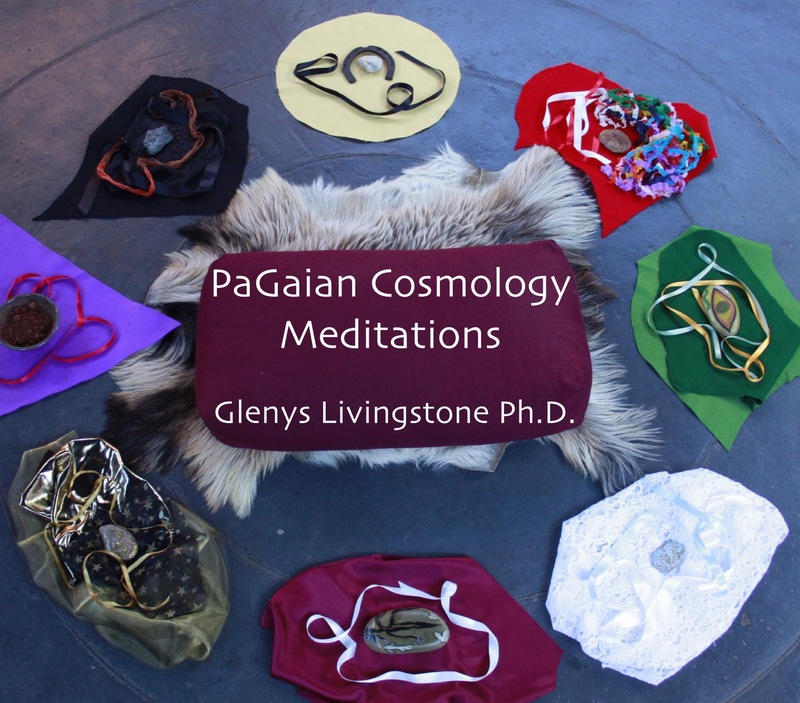 These meditations are based on decades of ceremonial devotional practice and meditations that have been part of PaGaian Seasonal mentoring and ceremonies at MoonCourt, Blue Mountains Australia. Each meditation may be a ceremony/ritual in itself, if one chooses: they may simply be a method of engaging with the Seasonal Moment, and when participated in fully, will facilitate a magical process, as Her Gaian Creativity is. I have been told they are also good healing bedtime stories to plug into as you go to sleep, anytime: they are an ecopsychology. In these times of deep change, a return to sacred ceremony seems necessary – medicinal, even urgent – for the wholing and healing of each and all, for the remembering of who and where we are. Participating consciously in the sacred process of Earth’s everyday journey around Sun, the wheel of the year, is a Poiesis … the making of a world. The meditations may be for group or individual contemplations: inviting your own creative process within the cosmology offered. PLEASE NOTE: When purchasing individual tracks below, you will need to click on “Return to Glenys Livingstone” in PayPal to access and download your track: it will not be automatic unless you do this. Though these meditations are prescriptive: that is, pre-scribing a creative process, room is allowed within that for any person or group to vary some things for themselves … there is space for your own scribing/authoring within the cosmology offered to you. 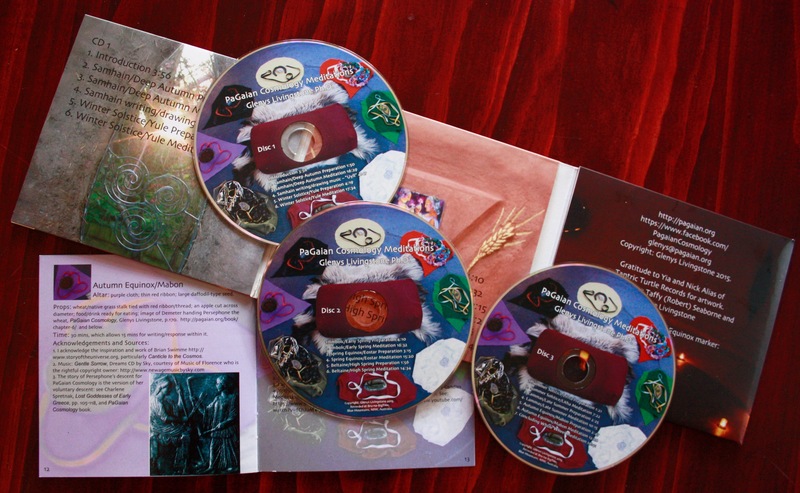 Each of the individual meditation tracks come with the preparation track and the Introduction included in the package download. Samhain has another music track as well – acknowledgment below. Samhain: Shamanic Healing by O. Baldwin and R. Bottom, courtesy of Good 2 Move Music Ltd/North Star Publishing Ltd. and ‘Uyll’ from the album Deep Within a Faerie Forest by Gary Stadler and Wendy Rule, courtesy Sequoia Records. Imbolc/Early Spring: Music courtesy of Bronwyn Kirkpatrick, MOON CD. Spring Equinox/Eostar: Gentle Sorrow by Sky from Dreams CD and ”: Shine from Deity CD by Wendy Rule. 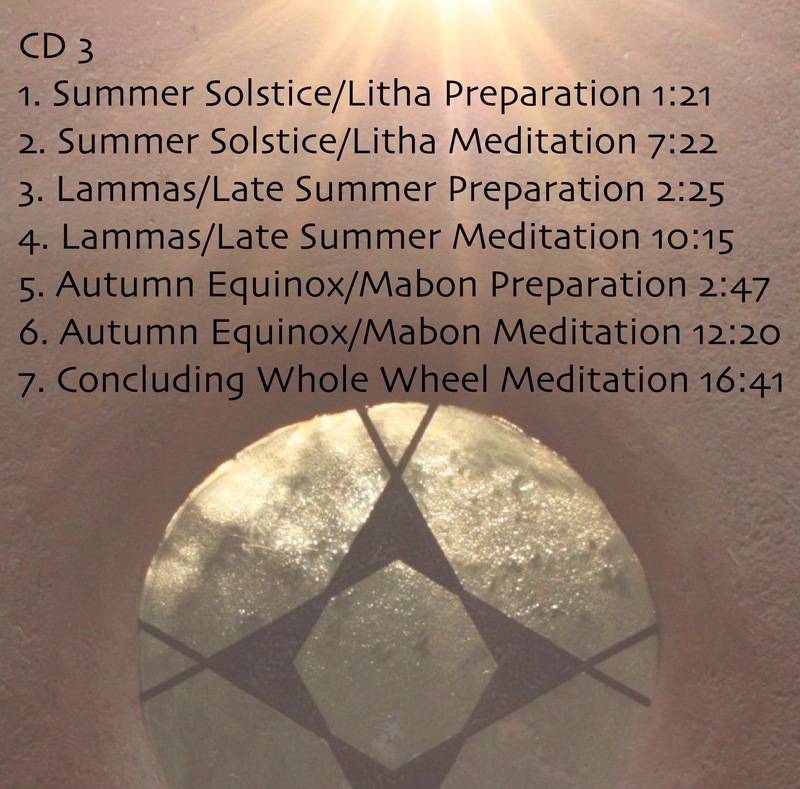 Summer Solstice/Litha: Extending a Hand from Glorious Woman CD by Nick Alias. Autumn Equinox/Mabon: Gentle Sorrow by Sky from Dreams CD. Invocations of the Sacred Three – a powerful Creative Cosmic Dynamic recognised by humans since our earliest of times – and cross-culturally; often recognized and represented as the Triple Goddess or the Triple Spiral. And a PaGaian rendition of a prayer to our sacred Source of being. Will you offer these as digital files for sale? good question … I will try to get that together: I will have to get someone to work on that for me. thanks for the question.